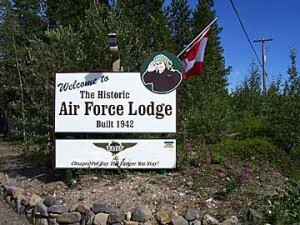 The Historic Air Force Lodge is the oldest building in the small northern community of Watson Lake, Yukon. 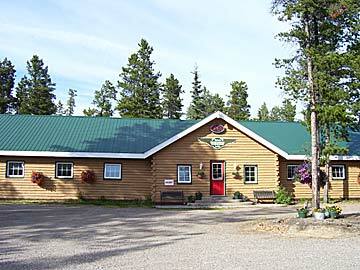 It is a heritage structure that has quickly become one of the most attractive and affordable stops along the Alaska Highway. Originally built at the Watson Lake Airport 1942 as a barracks for the pilots flying during Second World War, it was later moved to the town where it stood empty for many years. Then in 1999 the present owner completely and thoroughly refurbished the interior while leaving the exterior structure in its original form. Over the period of two and a half years of pains taking and meticulous craftsmanship the interior became a visitor’s lodge still very true to its wartime functional purpose of barracks, but with many modern features that surpass the highest building standards. 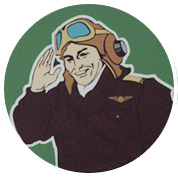 The Air Force Lodge is completely non smoking. Recipient of Yukon Golden Host award. Satellite TV with 130 channels. We have fast wireless high-speed connection. Complementary Coffee, Tea and Hot Chocolate. Safest Place in Watson Lake. For the 3rd Person we have a cot ( only $ 10,- extra) available. The cot comes with the complete bedding, pillow and an extra set of towels. We are closed for the season from October 2018 until April 2019. We take reservations for the 2019 Season at all times.